Touchstone Family Association hasn't added a story. For 45 years, Michael McCoy has dedicated his life to helping families. As executive director of Touchstone Family Association, he had one major frustration: most public programs are based on a crisis response. What about the families who need help before they are in crisis? 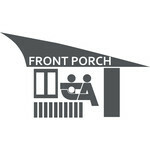 And so Touchstone’s Front Porch Program was born. It is based on self-referrals — a family just needs to call and ask for counselling. But the program itself needs help. It is not funded by any level of government and, because it relies on fundraising, there is a waiting list of families who need counselling. The more they wait, the more the stresses on their family grow. If every person in Richmond donated a dollar to this campaign, the program could meet all families' needs for the next three years. For Michael, a front porch light is a beacon. When his mother left it on in anticipation of his return home, it told him that someone was waiting to welcome him. It came to embody what family represents — people who knew him for everything he was, and wasn’t. The intent is to “leave a light on” for families who, through circumstance or chance, find themselves overwhelmed with challenges. At Touchstone they can find a place where they will be heard and supported. On March 31, 2015, Michael is retiring. He already has a legacy of helping families, but he wants to do more. In lieu of retirement gifts, he’d like people to donate to this crowdfunding campaign to raise money for the Front Porch Program. Any donation, of any amount, will enable Touchstone to provide this vital service to as many people as possible. To those of you who wish to keep the light on and feel it in your heart to give, Touchstone and the families of Richmond thank you. For those who cannot donate at this time but want to help, you can help keep the light on by sharing this message. Touchstone Family Association hasn't posted any updates yet. Touchstone Family Association is managing the funds for this campaign. Touchstone Family Association is a verified organization.